When it comes to major policy battles, since 2009 the GOP is 0-3. 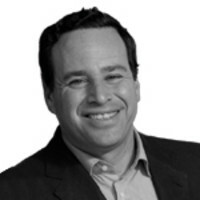 David Frum on what it’s doing wrong. Barack Obama was never likely to be popular with the Republican base. It's not just that he's black. He’s the first president in 76 years with a foreign parent—and unlike Hulda Hoover, Barack Obama Sr. never even naturalized. While Obama is not the first president to hold two degrees from elite universities—Bill Clinton and George W. Bush did as well—his Ivy predecessors at least disguised their education with a down-home style of speech. Join this cultural inheritance to liberal politics, and of course you have a formula for conflict. But effective parties make conflict work for them. Hate leads to rage, and rage makes you stupid. Republicans have convinced themselves both that President Obama is a revolutionary radical hell-bent upon destroying America as we know it and that he's so feckless and weak-willed that he'll always yield to pressure. It's that contradictory, angry assessment that has brought the GOP to a place where it must either abjectly surrender or force a national default. Calmer analysis would have achieved better results. The Republicans have always been the more disciplined of America’s two political parities, and today they still are. But whereas before, discipline used to flow from elected leadership down, today it flows from factional leadership up. An aide to Sen. Mike Lee told the National Review: “The minority of the minority is going to run things until our leadership gets some backbone.” The Lee aide was specifically referring to the Republican minority in the Senate, but the language has broader implication. According to Robert Costa, a well-sourced reporter at NRO: “What we’re seeing is the collapse of institutional Republican power ... The outside groups don’t always move votes directly but they create an atmosphere of fear among the members [of Congress].” Large organizations are inherently vulnerable to capture by tightly organized militant tendencies. This is how a great political party was impelled to base a presidential campaign on the Ryan plan—a plan that has now replaced the 1983 manifesto of the British Labour Party as “the longest suicide note in history.” It’s the job of leadership to remember, in the words of Edmund Burke, “Because half-a-dozen grasshoppers under a fern make the field ring with their importunate chink, whilst thousands of great cattle, reposed beneath the shadow of the British oak, chew the cud and are silent, pray do not imagine that those who make the noise are the only inhabitants of the field.” That job is tragically going undone in today’s GOP.